Congratulations guys, you’re getting married! 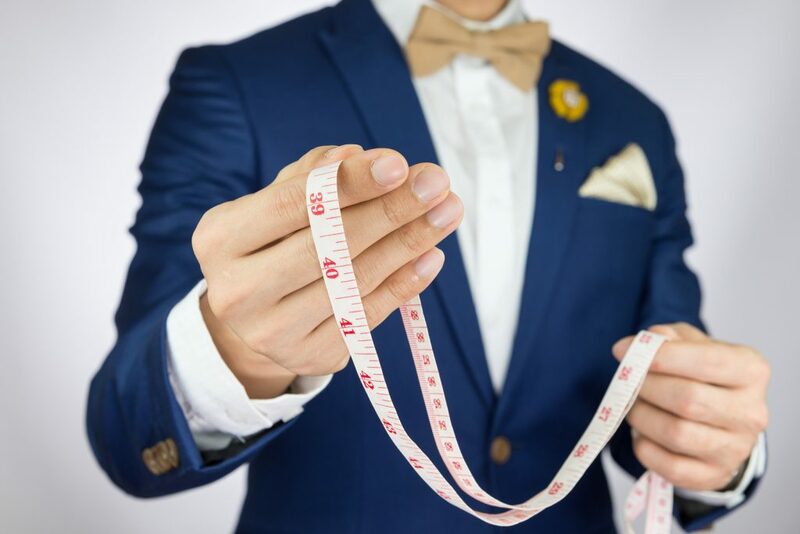 If you thought you could just wear whatever you wanted—well, you can, but there are certain rules that grooms usually should try to abide by. Of course, the bride will have her say as well. She’ll be making observations and suggestions every step of the way, but there’s still a way to show your own touch of personality in your wedding-day attire. Here’s our list of five rules for grooms’ attire. Grooms used to wear the same, or very similar, outfit to what the groomsmen were wearing. But that’s just boring, isn’t it? It’s more aesthetically pleasing if the groom’s attire coordinates with the groomsmen. Completely matching is out. 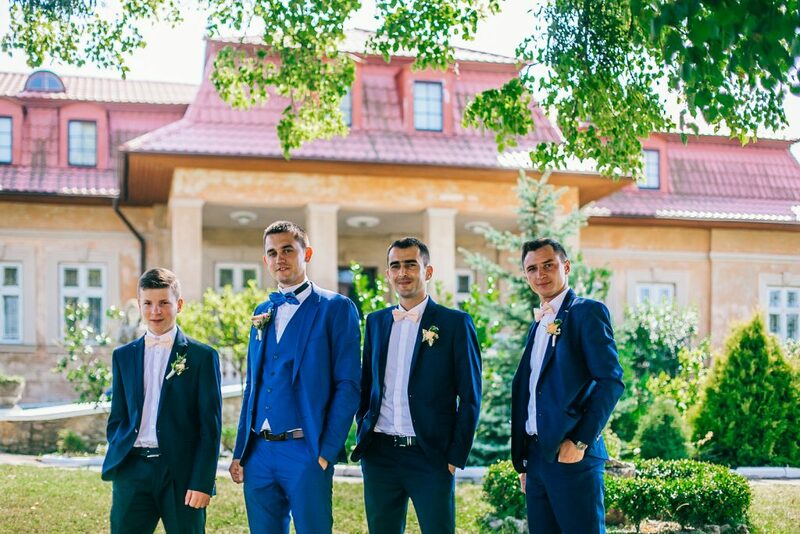 The color patterns and styles should compliment each other, and the groom should stand out and be a little different compared to the rest of the groomsmen. This is easily one of the most important rules for grooms. There’s so many suit styles out there that you’ll easily find great combinations to coordinate between you and the groomsmen. If you’re having a beach wedding, your wedding attire should reflect a more casual vibe. Perhaps go with some lighter colors to compliment the sand and ocean. Being extremely formal during a beach wedding just looks awkward. Similarly, if you’re having a more formal wedding, go with darker more traditional colors and looks. It will match the vibe of the evening much better. Some of these rules for grooms seem like they’re so obvious that they don’t bear mentioning, but you’d be surprised how many grooms stand in front of their family and friends wearing an ill-fitting suit. Make sure that whatever you’re wearing is fitted to your specific body. If it isn’t, it just doesn’t look good. 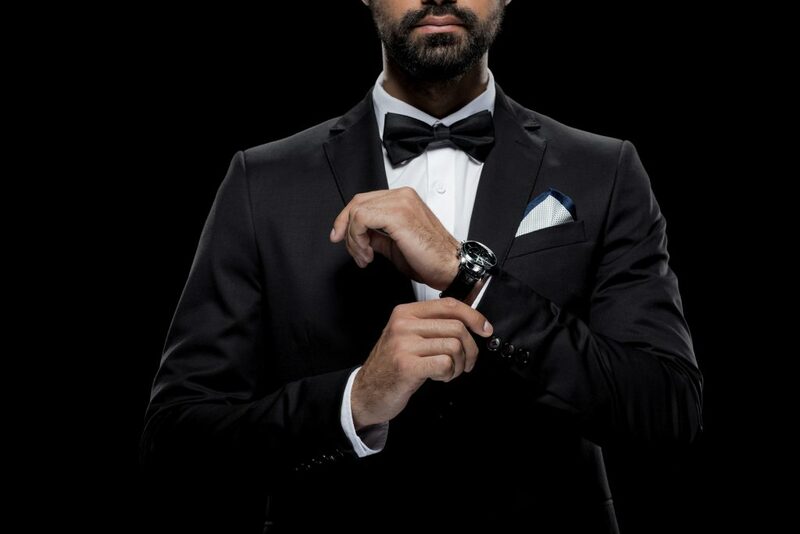 Make sure your jacket sleeve goes to your wrist bone, and that your dress shirt sticks out approximately a quarter inch. Make sure your pants are altered properly so that they aren’t covering your whole dress shoe. They should fit comfortably whether you’re standing, sitting, jumping, rescuing a baby, or whatever. If they aren’t, you’ll need to make some adjustments. If your bride has gone all out with a fancy dress, your suit should compliment that. Might we suggest a classic black tux in that scenario? Again, it’s all about your attire going hand-in-hand. Fellas, she’s the star of the show—everyone knows it—so compliment her. If she chooses to be a little less fancy, you should wear something similar in style. Here’s where you can really show off your personality to your guests when it comes to rules for grooms: all of the little details are where you get to shine and add your own touch. You’ve left much of the wedding planning up to her, so this is the moment you truly get to decide. Forget plain black dress socks. Those are boring. Have fun with them. Choose socks that feature your favorite sports team, or add some patterns and color. Similarly, don’t underestimate the touch of adding a nice watch. If you don’t have a collection of watches, that’s okay. Wear the fanciest-looking one you have, or borrow one from a friend. However, if you do have a nice collection and variety, here’s where you can really shine. As a general rule, you’re going to want to wear a watch with a leather strap and not a bracelet, and definitely not a rubber strap. You’ll want to wear a watch with the least amount of complications, and try to stick with a cleaner dial look. The cufflinks are another detail that you can get personal with. They’re small enough that most people may not notice, but those with a sharp eye will. Your cufflinks can really show off your taste and personality, and you can get them themed to your heritage, your favorite color, hobbies, and even your favorite movies. If you stick to these rules for grooms, you’re sure to steal at least a little attention from the bride. At the end of the day, however, do what makes you and your fiancé happy. It’s your day. 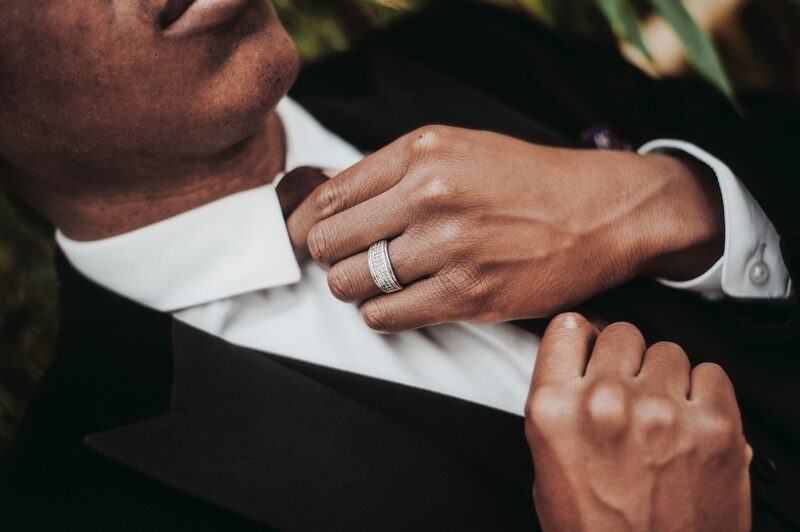 If you try to follow these rules for grooms, that’s great, but the important thing is that you feel good in what you wear. Even if you follow every one of these rules for grooms and at the end of the day you still don’t feel right, that’s okay. Just do what makes you and your bride feel your best.